Need Help? Search Our Award Winning Knowledge Base for Answers to your Questions, and Solutions to your Problems about Alzheimer's and dementia care. Ranked #1 by Healthline for 7 straight years (2012-2018). 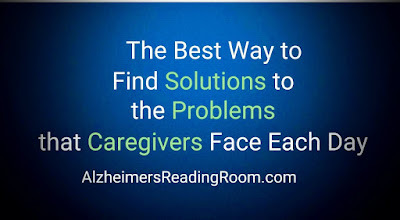 We have the best organized, easy to use, knowledge base on Alzheimer's and dementia in the world. Enter any word or question that is on your mind. Since most of our content is original - created specifically for readers of the ARR - you will likely find information, advice, insight, and help that is unique. More than 150 experts have contributed articles to our intellectual capital base. This includes many of the world's best authors, researchers, geriatric care mangers, nurse PhDs, long distance and stay at home caregivers, and real hands-on experts. "Without a doubt, you were the most sensational, inspirational speaker ever! "Caregivers can relate to your message because it truly comes from your heart and your personal experience; and caregivers need to know that others have done it and survived." "How to Get Answers To Your Questions About Alzheimer's and Dementia"